This site documents tested, adaptable and reusable processes and outcomes so anyone can facilitate real and productive conversations about the future, even among people with widely different points of view. What do people think about the future? Stories of this type are about continuation of the economic growth that has occurred in the developed world over the past 200 years. Other things might also grow including population, the size of urban or agricultural areas, and resources used. Future stories of this type involve exercising discipline to address aspects of the present that may lead to undesirable outcomes in the future. The focus of this discipline is, in most cases, sustainable use of natural resources. Futures of this type are about the loss of many aspects of society that we value. Catastrophe futures might emerge because good intentions don’t work out as planned or because of direct destruction of desirable aspects of society. Futures of this type are about fundamental changes for the better (undesirable changes fall under “catastrophe”). Transformations might be big technological leaps, and/or major changes in attitudes, policies, and practices in relation to the environment, inequity, governance, or industries. 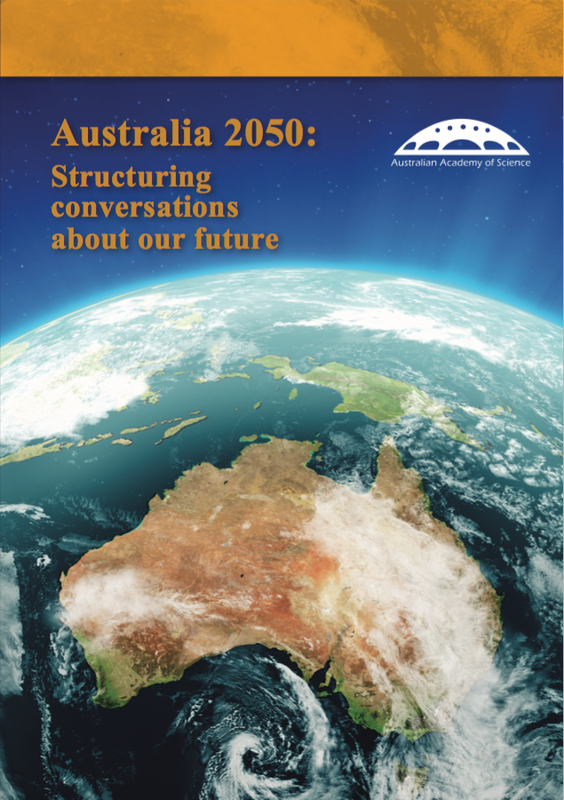 This booklet (Australia 2050 volume 3) describes a way to have productive conversations about the future among people with widely different points of view and describes the insights that emerge when a group of people from many walks of life share their knowledge, experiences, and viewpoints. Two sample agendas have also been developed so that you can conduct your own events, either as a two hour workshop or a more intensive set of discussions over 1.5 days.